hmm, ja die haben sich ganzschön entwickelt...allerdings mag ich immernoch kein ganzes album am stück von denen durchhören. viele der songs sind einfach zu experimentell und gehen mir auf die nerven. favoriten: r u mine ; no.1 party anthem, snap out of it. die arctic monkeys bleiben eine gute band und bekommen von mir 3 punkte, weil sie mich mit diesem album überrascht haben. Kann mich da philippkramer nur anschliessen, auch ich habe Mühe, mir ein ganzes Album von ihnen anzuhören. Zwischendurch gibts immer wieder tolle Momente, dann wieder nervige und sehr experimentielle Stücke, mit denen ich wenig bis gar nichts anfangen kann. Highlight ist für mich "Why'd You Only Call Me When You're High?". Finde das Album durchaus mutig und kantig, manchmal aber etwas too much für mich! I'd say that it's probably the best album that I've heard this year. Plenty of guitar riffs and adrenaline thrills that are able to satisfy you.<br><br>Having heard the album a few times over now, the standout remains "R U Mine?". Having been released as a lead single last year, and having been incorporated into this album, it fits very well and makes the album all the more worthwhile. 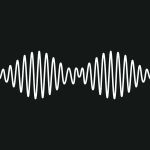 It has never ceased to amaze me how much I continue to love it, a metallic merge of catchy lyrics and a rocking guitar riff that never grows old.<br><br>The album contains a lot more of the bass-y stuff, particularly the other singles "Do I Wanna Know?" and "Why'd You Only Call Me When You're High? ", which were worthy single choices (yes, I know, three of the best songs off the album were asking questions, I noticed too).<br><br>Another song also worthy of mention was "Arabella". Listen to the song for yourself and just enjoy the experience. If they were to release another single, it would most likely have to be this.<br><br>Other highlights also included the intriguing, yet instantly engaging "Fireside" and the bouncy pop-rock track "Snap Out Of It".<br><br>Otherwise, there were a few other ballads I didn't care much for (The Beatles-ish "No. 1 Party Anthem" didn't do much for me), but if I had to choose one, it would be "I Wanna Be Yours". A solid love ballad, with quirky lyrics ("I wanna be your vacuum cleaner, breathing in your dust, I wanna be your Ford Cortina, I won't ever rust") sampling John Cooper Clarke's poem of the same name, was a good enough way to finish off the album.<br><br>Also, keep an ear out for Josh Homme (Queens of the Stone Age) who made a contribution to this album, particularly with the song "Knee Socks" I believe.<br><br>A strong rocking effort, and very few, if any albums, will top this album this year. Wat een geweldig nieuw album van Arctic Monkeys!! I wasn't particularly excited about the release of this because nothing I'd heard in advance had especially excited me and didn't compare to their previous work. However this is a very slick and cool album and they've done a fantastic job. Every track is a winner and there are some very surprising delights on here. The singles I knew ahead of the album release have continued to grow on me to a point where I think they're great now and the album tracks continue to grow on me more with each listen. Excellent work. 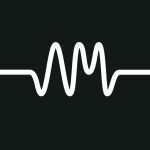 The Arctic Monkeys may have simply named the album after their initials as an homage to the Velvet Underground, but behind the minimalist title lays an excellent album. <br><br>The singles and Arabella are my favourite tracks but none of the tracks are bad. Nothing short of perfect. And the best thing is that they're only just getting started!! 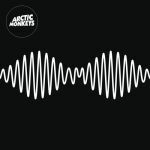 Very enjoyable album with some real stompers on here- Arctic Monkeys have matured a lot as a band and I didn't expect such strong production - I also didn't think they'd ever score an album with such broad appeal but this is it. I can see why this has had such a good chart run.<br><br>This has just grown on me so much over the past six months, it's such a good listen from start to end. No duds on here. Knap dat de band tot nu toe alleen maar top 10 albums uitbracht, waarvan dit de tweede nr 1 album. Terecht. Het zijn goed uitgevoerde pakkende liedjes.